Trying to stop foreclosure can feel like holding back an oncoming locomotive. It will only be a matter of time before the process charges full speed ahead, destroying everything in its path. If you are trying to save your home from foreclosure, there is some good news. First, realize that you are not alone, as many Americans fall behind with their mortgage payments at some point. 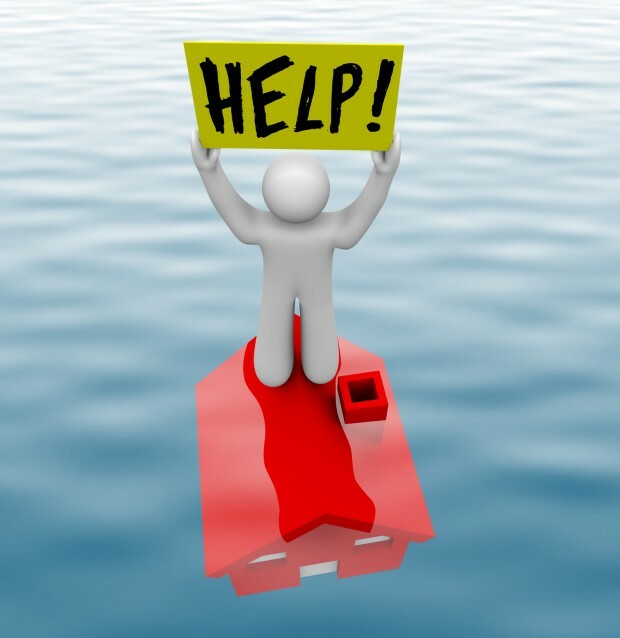 Second, understand that the foreclosure process takes time and during this time, you can come up with a solution. A mortgage lender will typically not begin the foreclosure process until the homeowner has fallen behind with mortgage payments by two to three months. This holds true whether the debt is a first or second mortgage. During this time, the homeowner can explore foreclosure alternatives such as a short sale, deed in lieu of foreclosure, or loan forbearance. If none of these is feasible, a bankruptcy lawyer should be consulted. Bankruptcy may not sound very appealing but it can be. The automatic stay issued through Chapter 7 or Chapter 13 bankruptcy proceedings causes the foreclosure process to be postponed until the bankruptcy has been finalized (usually a three to four-month period). Chapter 13 bankruptcy can be particularly attractive to a homeowner with a second mortgage because it can help eliminate payments. Under the typical Chapter 13 bankruptcy, a second or even a third mortgage is recategorized as unsecured debt. Recategorization takes place when the entire value of the home secures the first mortgage, leaving no remaining equity to secure the second or third mortgage. Unsecured debt is assigned the lowest priority for repayment though Chapter 13 and is usually not required to be repaid. Chapter 7 bankruptcy can also be used to cancel home equity loans, mortgages, and all other debt secured by a home. During the initial consultation, the bankruptcy lawyer will review the situation and explain that though Chapter 7 forgives the debt, the home will be lost due to its status as collateral. With Chapter 13, homeowners are often more likely to stop action on the lien, allowing them to save their homes by catching up on payments. Filing for bankruptcy can also be a smart alternative to foreclosure when attempting to rebuild credit. Though both situations are detrimental, foreclosure leaves the homeowner with mortgage debt. People who want to stop foreclosure of their homes should contact a bankruptcy lawyer to determine whether Chapter 7 or Chapter 13 is a good solution. Does Filing Bankruptcy During Divorce Stop Foreclosure? Can I File Chapter 13 Bankruptcy and Keep My Home? I have 2 loans on my house. 2 mortgages from different banks. How do i get the bad loan eliminated? Is this stripping thing i read about possible? Yes, in bankruptcy, it is possible to get a second mortgage stripped from the loan. This is in a process called “lien striping” and quite often, when you file chapter 13 bankruptcy, an expert bankruptcy lawyer, like you will find on this site, will strip that second mortgage and leave you with the main one that you can afford. Get a free bankruptcy consultation right now!